Abby L. Ferber, in her 2017 presidential address at the meeting of Sociologists for Women in Society, analyzed the threats and harassment educators face in institutions of higher education in the United States — quoted Malcom X: “If you’re not ready to die for it, put the word ‘freedom’ out of your vocabulary.” Historically, as in the case of Giordano Bruno or Spinoza, scientific work was accompanied by receiving daily threats. Nowadays we, as scholars, falsely believe that we are working in a secure academic environment, but this is increasing not the case. The question is, how did the intellectual work of teaching and scientific research become a life-threatening occupation once again? Finding an answer is ever more urgent for those of us in the field of gender studies. Academia.edu is a platform for researchers to share their work with those who don’t have access to a rich library with scholarly books and periodicals. It makes works visible, especially ones that are otherwise not indexed by databases, such as chapters in edited volumes. It is not known for its messaging function, which I didn’t know even existed until March 2, 2017, when I received a threatening message from a pseudonymous user.Besides allusions to the devil and various curses, the message also foresaw the eradication of my breed. I got alarmed. At the time, the global anti-gender attack was already in full swing. In the Hungarian media and online, the attacks had already intensified, especially after ELTE started its state-financed gender studies MA program. All at once everyone, in the Parliament, the press, and online had an opinion about what gender studies is about, what we teach, and what are or should be the requirements for admission and receiving a degree. Before that message on academia.edu, I never received threatening emails, but what Ferber aptly termed “public targeted online harassment” has been a part of my everyday life since I began writing online. (If commenting is allowed, then usually the second comment is an anti-Semitic slur.) My journalist acquaintances suggested that I stop reading comments, adding that they never read them either. I took their advice and established the illusion that the Internet and reality are two different spheres, and whatever happens in the virtual space has no real effect on me. That is, until someone registered on academia.edu, then downloaded my article on the history of abortion regulation in Hungary, and then left a Satanist verse behind. I’ll be honest: I started to panic. I wrote to CEU’s pro-rector for Hungarian affairs, who immediately called me and advised me to go to the police. Soon after, the university’s lawyer also called me, followed by the university’s vice-president for administration, both asking how they could help. It meant a lot that my workplace stood by my side. I told them that I wasn’t sure whether the sender was a lonely man, guided by sheer anger, someone who doesn’t have to be taken seriously, or whether this was a serious threat not to be taken lightly. Therefore, following the institutional advice, I went to the Budapest 13th District Police Department, where, after an hour and a half of waiting, an exhausted and bored policewoman drew up my statement. She asked me very professionally to let them know if there are any new developments, and to email them any piece of evidence I possess. I did so as soon as I got home. The overworked and underpaid police had 30 working days to investigate the case which would require immediate action to decide if a life is in danger. An acquaintance familiar with the investigation of hate crimes suggested that I personally get in touch with the investigating officer and put pressure on him or her into doing really thorough work. My difficulties began soon after giving my statement. Although I was able to figure out the name of the investigating officer charged with my case, finding her was really challenging. Each time I called, she was either out for lunch, or on a training, or having a day off. Finally, after weeks of chasing, I caught her, only to hear that she had not yet found the time to look into my file. She assured me that she would check the case and call me. She never did. I made a few more attempts to reach her but to no avail. When the 30 working days passed, I called again and the investigating officer, who was surprised at my call, told me that the investigation had been terminated. Despite institutional setbacks, I still lodged an appeal to the prosecutor’s office because when I shared my story in gender studies circles, I learned that others also received threats from the same username. The rejection arrived on September 7, 2017, on the basis that “The action of the unknown user, the sending of lyrics on exorcism via email, cannot be identified as an act of violent harassment, because it did not contain a threat against an actual person. According to the Penal Code the use of phrases such as “I will hunt you down” and “I will dispel you from the face of earth’ cannot be identified as a crime against a person.” The district vice-prosecutor added that my complaint does not contain any new information or facts. With this, I had exhausted every possible legal measure. At this point, I could have perhaps turned to a hacker who would have easily found out who the offender was as their profile is still active on academia.edu. But instead of this, I wrote this article to share the story and the morals of the story to a wider audience. What kind of wisdom can we gather from all of this? Firstly, a well-regulated legal system can become futile if it does not keep up with the changes of reality. “Public targeted online harassment” or rather threat, is of a different nature than “threat” as defined in the Penal Code. Its targets are primarily scientists, educators, thinkers; and the offender’s goal is to raise fear and uncertainty, rather than pose a physical threat. Secondly, the entire legal process took five months. Anything could have happened to me or others who received the same threatening message during those five months. Thirdly, despite the fact that the offender had sent threatening emails and Facebook messages to others, the investigation of those cases was refused. Each person who was threatened by the person using the same name belongs to the Budapest gender studies community. And this is where we should start analyzing the wider framework, the reason behind these threats. Together with the Polish sociologist Weronika Grzebalska, we suggested the term “polypore state.” The polypore is a parasite pore fungus that lives on wood and produces nothing else but more polypore. In our article, we defined three functional characteristics of the polypore state: establishment of a parallel institutions, familialism, and security discourse, all of them gendered. One typical feature of the polypore state is the establishment of a parallel, state financed NGO sphere. Another characteristic of the polypore state is familialism, or the replacement of gender politics with family politics, based on which the state’s social policies exclusively support families, i.e. heterosexual married couples. The third characteristic of the polypore state is the usage of the security discourse. The Fidesz government regularly presents policy related questions as security questions. According to their rhetoric, the vigilant government defeats the threat of the EU, the UN, the migrants, gender studies professionals, George Soros, etc. These characteristics are missing or are hardly represented in traditional political analyses and even much less so in oppositional electoral strategies. The security discourse also affected narratives concerning science policies. 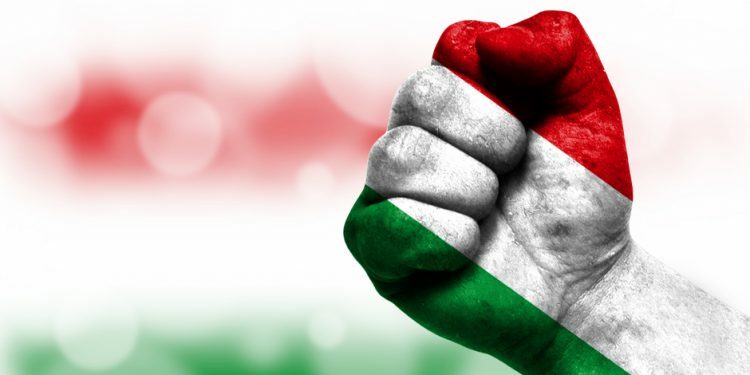 In Hungary, the anti-gender battle commenced in 2008 when an MP called a secondary school auxiliary textbook on the gender history of Hungary an agent of the “culture of death.” The same MP then went onto question why the government — at that time a leftist liberal one — spent taxpayers’ money on it. The “culture of death” phrase and the related discourse are used by the anti-gender movement to raise hatred and fear against gender studies’ focus on equality. In doing so, they apply the toolkit of science: with the ad hoc quotation of a hodge-podge of surveys, they undermine the relevance of gender researchers, their scientific findings, as well as the value and legitimacy of their scientific endeavors. Lex CEU was a continuation of this kind of attack, so was the attack against the Hungarian Academy of Sciences. These attacks culminated in the infamous bill of August 2018 that aimed to erase gender studies from the list of state accredited university courses. Is there a perceptible difference in worldview between gender studies and the anti-gender movement, like between conservative and liberal political philosophies? Or is their relationship more similar to that of creationism and evolutionary biology, where the latter considers the former mock science, against which the expert community should step up with all its scientific might? The anti-gender movement is not merely another offshoot of centuries old anti-feminism. When a politician claims that women’s sole purpose is child bearing, or when a pop celebrity discusses the so-called female principle, these are not simply conservative responses to the success of the 1968 movements. The anti-gender movement is a fundamentally new phenomenon that was launched for the sake of establishing a new world order. It is a battlefield for socialization in the Gramscian sense. The anti-gender movement is also a nationalist neoconservative response to the crisis of the global neoliberal world order, therefore it should interest everyone who is committed to human rights and democracy, and not only researchers of gender. The anti-gender movement attacks liberalism, and therefore, democracy. In the meantime, the role of the state changes because the polypore state no longer considers political diversity an asset. The anti-gender movement applies scientific-looking arguments to support its ideological moves. The way it goes about making these arguments is what makes it into a mock science. It is saturated with hatred. And this is the hatred that emanated from the message to my academia.edu page. “Public targeted online harassment” is dangerous, not only because it is in harmony with how the polypore state functions and because it draws attention and energy away from really important matters. It is also dangerous because it attempts to dismantle the notion that research and education are public goods and human rights. Because of this, the institutional system should protect educators and researchers; as they are exercising human rights to do science while creating public goods. My institution did its part when I received a threatening message on my academia.edu page. The transformative history of sovietization in Eastern Europe should make us particularly aware of the stakes involved in scientific research: it is truly a matter of life or death. And that it will be sooner than we think that we will have to respond to the question: would we die for the freedom of science? Andrea Petö is Professor at the Department of Gender Studies at Central European University in Budapest, Hungary and a Doctor of Science of the Hungarian Academy of Sciences. She has written five monographs, edited thirty-one volumes, and her work has been translated into seventeen languages. She was awarded the 2018 All European Academies Madame de Staël Prize for Cultural Values. Follow Andrea on Twitter.